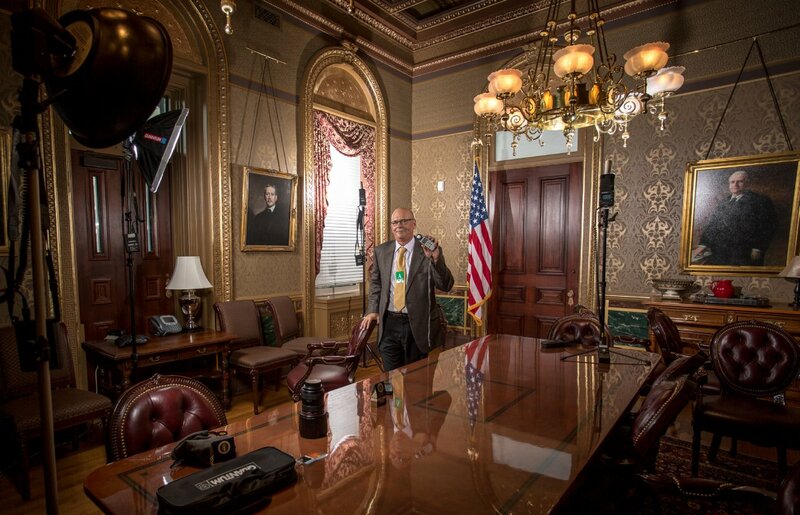 Posts with tag: "Eisenhower Executive Office Building"
From my recent DC assignment in the Eisenhower Executive Office Building to make a portrait of one of President Obama's advisors. This is the refurbished Secretary of War's Conference Room from the days when this was the War Department. Decades ago I used to go to school across the street at The Corcoran School of Art and lived two blocks away. With Joe Matera Jr.